The International Law Commission was established by the United Nations General Assembly in 1948 for the “Promotion of the progressive development of international law and its codification. Law Reform has been a continuing process particularly during the last 300 years or more in Indian history. In the ancient period, when religious and customary law occupied the field, reform process had been ad hoc and not institutionalized through duly constituted law reform agencies. However, since the third decade of the nineteenth century, Law Commissions were constituted by the Government from time to time and were empowered to recommend legislative reforms with a view to clarify, consolidate and codify particular branches of law where the Government felt the necessity for it. The first such Commission was established in 1834 under the Charter Act of 1833 under the Chairmanship of Lord Macaulay which recommended codification of the Penal Code, the Criminal Procedure Code and a few other matters. A Law Commission or Law Reform Commission is an independent body set up by a government to conduct law reform : that is, to consider the state of laws in a jurisdiction and make recommendations or proposals for legal changes or restructuring. The Commission’s regular staff consists of about a dozen research personnel of different ranks and varied experiences. A small group of secretarial staff looks after the administration side of the Commission’s operations. Basically the projects undertaken by the Commission are initiated in the Commission’s meetings which take place frequently. Priorities are discussed, topics are identified and preparatory work is assigned to each member of the Commission. Depending upon the nature and scope of the topic, different methodologies for collection of data and research are adopted keeping the scope of the proposal for reform in mind. Discussion at Commission meetings during this period helps not only in articulating the issues and focusing the research, but also evolving a consensus among members of the Commission. What emerges out of this preparatory work in the Commission is usually a working paper outlining the problem and suggesting matters deserving reform. The paper is then sent out for circulation in the public and concerned interest groups with a view to eliciting reactions and suggestions. Usually a carefully prepared questionnaire is also sent with the document. Once the data and informed views are assembled, the Commission’s staff evaluates them and organizes the information for appropriate introduction in the report which is written either by the Member-Secretary or one of the Members or the Chairman of the Commission. It is then subjected to close scrutiny by the full Commission in prolonged meetings. Once the Report and summary are finalized, the Commission may decide to prepare a draft amendment or a new bill which may be appended to its report. Thereafter, the final report is forwarded to the Government. It is obvious that the success of the Commission’s work in law reforms is dependent upon its capacity to assemble the widest possible inputs from the public and concerned interest groups. The Commission is constantly on the look out for strategies to accomplish this goal within the limited resources available to it. In this regard the media plays an important role which the Commission proposes to tap more frequently than before. The Commission welcomes suggestions from any person, institution or organization on the issues under consideration of the Commission, which may be sent to the Member-Secretary. In This Thesis paper a thorough proposal of the activities of the law commission of the India, Pakistan, Bangladesh have been made and suggested the area of significant and improvement of the law commission in Bangladesh. To find out the importance of Law Commission in the administration of justice in Indian sub continent. To do a comparative study about the Law Commission of different countries in the Indian sub continent. To find out the existing problems of Law Commission in our country. To suggest in the concerned matter. To know about Law Commission in details. Internet, Newspaper and tried to analyze such information. All information is collected from secondary sources. 2.1. What is Law Commission? Law Commission is an independent body set up by Law Commission Act. It is not a sort of branch of the government for acting as legal adviser or as a drafting cell. One basic function of the Commission is to conduct this research and consultation, and make proposals for updating, improving and simplifying the laws. The canvas of the Law Commission is pervasive. This statement is true when we consider that the Law Commission can also take steps suo moto apart from government’s request. A Law Commission or Law Reform Commission is an independent body set up by a government to conduct law reform; that is, to consider the state of laws in a jurisdiction and make recommendations or proposals for legal changes or restructuring.Their function include drafting revised versions of confusing laws, preparing consolidated versions of laws, making recommendations on updating outdated laws and making recommendations on repealing obsolete or spent laws. 2.2. How does the commission function? The Commission may consider proposal or draft conventions submitted by principal organs of The State for The Progressive development of statutory law and its codification. In addition, the Commission may consult with: (a) any organ of the State on any subject which is within the competence of that organ Furthermore, Commission documents on subjects within the competence of organs of the State are circulated to those organs which may furnish information or make suggestions. The Statute also provides for the distribution of the Commission’s documents to national and international organization concerned with international law.The Commission is also involved in an ongoing process of consultations, exchange of views and mutual information with scientific institutions and professors of international law, which keeps the Commission abreast of new developments and trends in scholarly research on international law. The Commission has established and maintained cooperative relationships with the Asian-African Legal Consultative Committee, the European Committee on Legal Cooperation and the Committee of Legal Advisers on Public International Law, the Inter-American Juridical Committee, and other regional and inter-regional organizations. The Commission is informed by representatives of this Commission of their, recent activities and the members of the Commission have the opportunity to exchange views with them. For its part, the Commission is often represented by one of its members at the sessions and meetings of those bodies. The Commission has recommended that relations with other bodies, such as the regional legal bodies, should be further encouraged and developed. Once the Report is submitted to the Ministry of Law and Justice, the task of the Commission ends unless it is required to rework upon identified areas of provide clarifications by the Government on the report submitted. Upon receipt of the Report, it is the responsible for follow-up action on the recommendations made by the Commission in the Report. 3.1. What is Indian Sub-Continent? The Subcontinent is a peninsula that juts south-ward from the rest of Asia like an enormous arrowhead. We call India a subcontinent because it is a distinct landmass, but it is not large enough to be considered a continent. The nation of India dominates three-fourths of the subcontinent. Pakistan, Nepal, Bhutan, and Bangladesh occupy the remainder. Sri Lanka is an island nation off the southern coast of India. Law Commission was first established during the British regime in 1834 by the Charter Act of 1833. After that three more Commissions were established in pre-independent India. After the independence of India in 1947, the First Law Commission was established in 1955 for a three year term. Since then seventeen more Commission have been established and the current Law Commission, established on 2006-09-01 is the Eighteenth Law Commission of India whose tenure has been fixed till 2009-08-31. The current Chairman of the Law Commission is Justice A.R. Lakshmanan is a Former Judge of the Supremes Court of India. Other than him, the current Law Commission has one Permanent Member, one Member- Secretary and six Part-time Members. After independence, the Constitution of India with its Fundamental Rights and Directive Principles of State Policy gave a new direction to law reform geared to the needs of a democratic legal order in a plural society. Though the Constitution stipulated the continuation of pre-Constitution Laws (Article 372) till they are amended or repealed, there had been demands in Parliament and outside for establishing a Central Law Commission to recommend revision and updating of the inherited laws to serve the changing needs of the country. 3.3. Role of Law Commission Reform in India. The Commission reviews judicial administration to ensure that it is responsive so that delays are eliminated, arrears are cleared and disposal of cases is quick and cost-effective without sacrificing .the cardinal principle that they are just and fair. 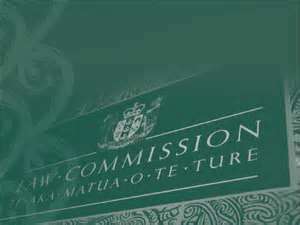 The Commission seeks to simplify procedure to curb delays and improve standards of justice. It also strives to promote an accountable and citizen-friendly government which is transparent and ensures the people’s right to information.There is no binding value of the recommendations of the Commission, for “they are recommendation. They may be accepted or rejected. Action on the said recommendations depends on the ministries / departments, which are concerned with the subject matter of the recommendations. “This has resulted in a number of important and important recommendations not being implemented. However the Commission has continued to work upon its assigned tasks the power vested in the Commission to suo moto take up matters for discussion and submit recommendations has also worked well to the advantage of the legal system in the country. The history of the Commission is replete with such recommendations which have been made in the wake to the hour and where the law has needed change. Further, the Commission has been often returned to review its earlier reports in the wake of change scenarios and the aptness of law in such situations. Euthanasia and related issues , in-particular, has been one such area where the Commission has been rebook the situation at least three times, with the latest being its 196th report on the topic. 3.4. Function of Law Commission in India. 1. To identify laws which are no longer needed or relevant and can be immediately repealed? 2. To identify laws which are in harmony with the existing climate of economic liberalization which need no change? 3. To identify laws which require changes or amendments and to make suggestions for their amendment. 4. To consider in a wider perspective the suggestions for revision/ amendment given by Expert Groups in various Ministries / Departments with a view to coordinating and harmonizing them. 5. To consider references made to it by Ministries / Departments in respect of legislation having bearing on the working of more than one Ministry / Department. 6. To suggest suitable measures for quick redressed of citizens grievances, in the field of law. 7. To examine the Law which affect the poor and carry out post- audit for social-economic legislation? 8. Elimination of delays, speedy clearance of arrears and reduction in costs so as to secure quick and economical disposal of cases without affecting the cardinal principle those decisions should be just and fair. 9. Simplification of procedure to reduce and eliminate technicalities and devices for delay so that it operates not. as an end in itself but as a means of achieving justice. 3.5. Evaluation of Law Commission in India. East India Company, which was granted Royal Charters and also conferred powers by the various Indian rulers to administer and oversee the conduct of the inhabitants in the local areas where the Company exercised control. This was considered as a major stumbling block for proper administration by the British Government during the times which is now known as the British Raj. In order to improve the law and order situation and also to ensure uniformity of legal administration, various options were looked for. Until then the British Government had been passing various enactments to deal with particular situations (such as the Prohibition of Sati in 1829 by Lord William Bentinck under the influence of Raja Ram Mohan. Roy). However it was for the first time in 1833 that the idea to establish a Law Commission for a comprehensive examination of the existing legal system prevailing in the British administered areas and its overhaul was instituted. 4.1. Law Commission of Bangladesh. Law of the land in a dynamic society requires to be constantly reviewed by an authority to be manned by persons having adequate and through knowledge of law and the society. Thus the need to establish a law reform agency was felt by different countries at different times and Law Commission have been set up to fulfill the need. The Law Commission in Bangladesh came about in that historic process. Launching of this web site on the part of the Law Commission is an attempt to inform the people about the Commission and the jobs carried out by it so far. 4.2. Background of Bangladesh Law Commission. In the India sub-continent the first Law Commission was established in 1834 under the Chairmanship of Lord Macaulay under the Charter Act of 1833. Thereafter the second, third and fourth Law Commissions were consecutively established in 1853, 1861 and 1879 respectively. The first Law Commission in addition to other recommendations made recommendations for codification of the Indian Penal Code, .1860 and the Code of Criminal Procedure, 1898. The consecutive three Law Commissions enriched the treasure of the laws. Besides, the Indian Penal Code and the Code of Criminal Procedure, the Code of Civil Procedure, 1908, the Evidence Act, 1872, Indian Contract Act, 1872 and the Transfer of Property Act, 1882 etc. are the outcome of labor of the aforesaid four Law Commissions, During the Pakistan period two Law Reform Commissions first one under the Chairmanship of Mr. Justice S.A Rahman in 1958 and the second on under the Chairmanship of Mr. Justice Hamoodur Rahman in 1967 were established. Justice S.A. Rahman Law Reform Commission examined the causes of delay in disposal of Civil and Criminal cases and also made recommendation for making suitable amendments in the related laws. Justice Hamoodur Rahman Law Reform Commission submitted an exhaustive report in the matter of delay of disposal of Civil and Criminal cases. After emergence of Bangladesh the first Law Reform Committee was formed in 1976 under the Chairmanship of Mr. Justice Kemal uddin Hossain. Later on a Law Reform Committee was formed in 1979 under the Chairmanship of Mr. Justice Altaf Hossain. The aforesaid Law Reform Committees amongst other issues examined the procedural aspects of Civil and Criminal Code and made some recommendations of relevant laws for speedy disposal of Civil and Criminal cases. In 1990 another Law Commission was set up under the Chairmanship of Barrister Ashrarul Hossain. This Commission existed for a short period and it made recommendations on the reforms of the Code of Civil Procedure, 1908 and some other laws. A temporary Law Reform Commission was established on May 25, 1996, in pursuance of the executive resolution dated 7-4-1994 wide no 120- Law/vetting/33/93 with Mr. Justice Naimuddin Ahmed as a member as well as acting Chairman. On 4th August, 1996 the former Chief Justice of Bangladesh Mr. Justice Dr. F.K.M.A Munim was appointed the Chairman of the Law Reform Commission. 4.3. Composition of Law Commission of Bangladesh. According section 5 of the Law Commission Act,996, the Commission consists of a Chairman and two Members. Under the law Government has got the power to increase the number f its members, if it deems necessary. The Chairman and Members of the Commission hold their respective offices for a term of three years from the date of their respective appointments. The Chairman or a Member may be re appointed by the Government for the prescribed term after the expiry of the said term. From the very beginning the Chairman of the Commission has been appointed from amongst the retired Chief Justices of Bangladesh except on one occasion on which a member was appointed from amongst legal academics. Very recently another Member from the legal academics is appointed in the Commission. 4.4. Function of Law Commission of Bangladesh. To recommend with regard to other legal matters referred by the government from time to time. To identify the various laws which conflict with each other on the same subject and in probable cases, to recommend codification and unification of various laws on the same subject. To recommend modernization of different aspects of court management, such as, distribution of works among judges, supply of copies, transmission and preservation of records, service of notices and other relevant matters. Keeping in mind the attraction of domestic and foreign investment and necessity of free market economy. To recommend, after examination, measures with regard to relevant laws especially copyright, trademarks, patents, arbitration, contract, registration and similar other matters. The Commission after considering the opinion/ recommendations made by the Government finalizes the work plan and informs the Government.The Commission in its meeting discusses the priorities of laws of the work plan and reference if any, made by the Government. In the Commission’s meeting each member is assigned to prepare a working paper/ report with the assistance of a Research Officer. Then the Research team considering the nature and scope of the research of the law adopts different methodologies for collection of date and in appropriate cases studies foreign system of law to see how they meet similar problems. The team in the working paper delineates different deficiencies and drawbacks of the law and suggests provisional recommendations regarding removal thereof. The working paper prepared by the team placed before the Commission for consideration and approval. After approval the paper is widely circulated among the different stakeholders for comments and suggestions. The team scrutinizes different views received from the stakeholders and thereafter the Commission prepares final report and draft bill if necessary, and sends them to the government for necessary action. Several articles of the Statute envisage the relationship which may be established between the Commission and various other bodies, both official and unofficial. The Commission may consider proposals or raft conventions submitted by principal organs of the United Nations other than the General Assembly, specialized agencies, or official bodies established by intergovernmental agreement to encourage the progressive development of international law and its codification.The Commission has received proposals from official bodies other than the General Assembly on only two occasions during the early years of its work. At its second and third sessions, in 1950 and 1951, the Commission was notified of resolutions adopted by the Economic and Social Council of the United Nations in which the Council requested the Commission to deal with two subjects: the nationality of married women and the elimination of statelessness. The Commission dealt these subjects in connection with the comprehensive topic of “Nationality, including statelessness”, which, had already been selected for codification by the Commission in 1949. The Commission has recommended that the General Assembly- and through it other bodies within the United Nations system- be encouraged to submit to the Commission possible topics involving codification and progressive development of international law. Throughout the years, the Commission has maintained a close relationship with the International Court of Justice. The Commission is informed by the President of the Court of its recent activities and of the cases currently before it and the members of the Commission are given the opportunity to have an exchange views with the President. The General Assembly has requested the Commission to continue the implementation of the relevant provisions of its Statute to continue the implementation of the relevant provisions of its Statute to further strengthen cooperation between the Commission and other bodies concerned with international law. The Commission does not necessarily consideration of a topic immediately after it has been included in the program of work. The Commission’s actual consideration of a topic on its program results, rather, from a further decision of the Commission to place a topic on its agenda. The Commission’s decision to take up a topic is mainly influenced by the status of the consideration of other topics and requests by the General Assembly. For a number of years, the commission has also held consultations with the international committee of the Red Cross on topics under consideration by the Commission as well as issues of international humanitarian law. 5.2. Law commission in United Kingdom. In England and Wales the Law commission is an independent body set up by Parliament by the Law commissions Act 1965 in 1965 to keep the law of England and Wales under review and to recommend reforms. The organization is headed by a Chairman (currently Lord Justice Munby, a judge of the Court of Appeal and four Law Commissioners. It proposes changes to the law that will make the law simpler, more accessible, fairer, modern and more cost-effective. It consults widely on its proposals and in the light of the responses to public consultation; it presents recommendations to the UK Parliament that, if legislated upon, would implement its law reform recommendations. The Law Commission was established in 1965 to keep the law of England and Wales under constant review and acts an advisory public body sponsored by the Department for constitutional Affairs The commission receives and considers proposals for law reform and then makes reports and proposals for change to Government. The Commission’s recommendations are designed to make the law as fair, modern, simple and cost effective as possible. Approximately 68% of the Law Commission’s law reform recommendations have been enacted. A further 7% have been accepted by Government but not yet enacted, and 5% are awaiting a response from Government. Although this success rate is quite high, the Law Commission constantly seeks to improve it. A recent initiative that it hopes will contribute to an increase in the rate at which its recommendations in future will be enacted is a protocol that was set out in the Law Commission Act 2009. This protocol was agreed between the UK Government and the law Commission, and under it the Lord Chancellor has undertaken to report annually to Parliament on Government’s responses to the commission’s reports. The Law commission was established by the Law commissions Act 1965 and exists to keep the law of England and Wales under review, with a view to its systematic development and reform. The Commission receives and considers proposals for law reform and, pursuant to program approved by the Lord Chancellor, examines particular branches of the and formulates proposals for reform, for example by means of draft Bills. The Commission’s recommendations are designed to make the law as fair, modern, simple and cost effective as possible. It also studies the relevant aspects of overseas legal systems. The Commission is based in London and is assisted by legal and administrative staff. It is an advisory non-departmental public body sponsored by the Department for Constitutional Affairs. 5.3. Law Commission of Pakistan. The nation of India dominates three-fourths of the subcontinent. Pakistan, Nepal, Bhutan, and Bangladesh occupy the remainder. Sri Lanka is an island nation off the southern coast of India.So we have to discuss about Pakistan Law Commission & their activities. The Law and Justice Commission of Pakistan is a Federal Government institution, established under an Ordinance (XIV) of 1979. The Commission is headed by the Chief Justice of Pakistan and comprises 12 other members including the Chief Justices of the superior courts, Attorney General for Pakistan, Secretary, Ministry of Law, Justices & Human Rights and Chairperson, National Commission on the Status of Women and others. Each province is represented by one member.The commission has its own library with a collecting of 5000-plus reference books and law reports. 5.3.1. Function of Law Commission of Pakistan. Carrying out a regular and systematic review of the statutes and other laws of land, with a view to improving / modernizing laws for bringing them in accord with the changing needs of the society. The Federal Government or any provincial government may seek the opinion and advice of the Commission on any matter relevant to its functions. 5.3.2. Role of Law commission in Pakistan. The Law & Justice Commission of Pakistan has so far approved and published more than 90 reports on different issues / subjects and submitted the same to the Government for implementation. Some of these reports have been implemented. A detailed list of the published reports is at Annex I. The Secretariat also operates a legal Awareness Scheme; where under write-ups are prepared on legal issues / problems of public interest and published through the news media. Three volumes titled, Qanun-Fahmi have been published. The Commission welcomes interaction with the general public, especially jurists, researchers, scholars and activists to get feed back on its drafts and receive proposals for reform of law, legal education and judicial system. 5.4. Law Commission of SriLanka. Sri Lanka was also part of the Sub continent India. Sri Lanka is an island nation off the southern coast of India. The main Object is to promote the reform of the reform of the law and, for the purposes of such promotion, to exercise, discharge and perform the powers, functions and duties conferred and imposed on the commission by this Act. And to obtain such information as to the legal systems of other countries as appears to the Commission likely to facilitate the achievement of the objects of the Commission And o keep under constant review the exercise by bodies, other than parliament, of the power to legislate by subsidiary legislation with a view to ensuring that they confirm to well established principles and to the rule of law, that they do not have retrospective effect unless the enabling enactment confers express authority so to provide and that they do not make some unusual or unexpected use of the power conferred by the enactments under which they are made And o formulate programme for rationalizing and simplifying legal procedures including procedures of an administrative character connected with litigation And to formulate programmers for the codification of the law in Sinhala, Tamil and English. To prepare, from time to time, at the request of the Minister comprehensive program of consolidation and statute law revision, and to undertake the preparation of draft Bills in pursuance of any such program approved by the Minister. The Nepal Law commission (NLC) was first constituted by an executive decision in 1953, immediately after the down of multiparty democracy. The second, third, fourth and fifth commissions were constituted in 1960, 1963. 1972 and 1979 respectively. All those commissions were temporary in nature. The NLC was given permanent status only in 1984. After the restoration of multiparty democracy in 1990, the NLC was restructured with the mandate commensurate to the changed context. It was again restructured in 2003 with timely changes in its mandate and composition. Now, the commission is a statutory body under the Nepal Law commission Act, 2007, which was promulgated on 14 January 2007 It is to note that until then it used to be constituted by the executive decision. The Government may appoint not more than five members as honorary members to the Commission from amongst outstanding experts in the pertinent field. To make necessary recommendation to the Government. (A) The definition of ‘court’, as suggested in the 69th Report was rejected so as not to extend the provisions of the Act to revenue courts, tribunals and satisfied with the existing definition of the Court under the Act, the Commission made no recommendation on this aspect. This seems to be an appreciable step indeed as after all, if the Revenue Court and the Tribunals have been with speedy trial and lack of procedural compliances as one of the guiding factors, they must be kept beyond the periphery of the Evidence Act as far the requirement to strictly follow the rules regarding admission of evidence is concerned. (B) The Commission, having discussed the position of DMA evidence in both English and Australian laws, observed that there was no need to provide a specific mention to include DMA evidence under the Act specifically after the ruling of the Supreme Court in Kamta Devi v. Poshi Ram wherein DMA evidence was not held to be admissible when the law provided for an assumption. However the Commission did not preclude the possibility of leading in DMA evidence by the parties and thus observed that in case of refusal of a party to submit to the DMA test, no provision could be recommended and it was upon the Court to draw the inference against the refusing party as it decided. (C) The recommendation regarding the definition of ‘document’ is commendable. The Commission observed that the definition already covers any type of document including electronic records after the amendment to the Act and incorporation of section 65A and 65B. Yet, to take into account the recent developments in the field of technology and law and more specifically, when document was more broadly defined under section 3 (18) of the General Clauses Act, there was a need to amend the existing definition. (D) The 69th Report concluded that there was a significant difference in this regard between the Indian position and the English law but because of the decision of Mirza Akbar vs. Emperor which was subsequently affirmed by the Supreme Court in various cases. But in another judgment, namely, Bhagwan Swaroop v. State of Maharashtra Subba Rao J as he then was, adhered to the wider meaning of sec. 10 and observed that there were five conditions for the applicability of sec. 10, of which one viz., item (iv), covered actions, declarations or writings by one co-conspirator “whether it was held that the words were “designedly used to give a wider scope”. Now, the observation in the above decision of Subba Rao J. has been explained very recently in Saju vs. State of Kerala wherein his observation was ruled out as opposed to the settled law. (E) In order to further the spirit of section 24, dealing with confessions caused by inducement, threat or promise, the commission recommended the inclusion of certain more grounds and thus observed that coercion, violence and torture should also be included as grounds for rejection of such confession. (G) As far as dying declaration (under section 32 (1) was concerned, relying on the judgment of the Supreme Court in State of U.P.v. Ramesh Prasad Misra, the Commission suggested that statement as to the cause of death (motive) should be made admissible. (H) As a further advancement to the protraction of women at working places, action 53A was proposed to be incorporated. (I) The Commission, while at one stage it doubted the accuracy of DMA tests, permitted DMA tests to formally appear in the Indian Evidence Act. In a controversial recommendation, it sought to amend section 112 of the Act wherein presumption as to paternity of a child was dealt with and introduced DMA test when it was specifically refused by the Supreme Court in Kamta Devi v. Poshi Ram. Some of the sections of the mammoth report may be cited here to state that the commission has really performed the role of a watchdog of the Indian legal fraternity. Since beginning the task of the Commission has been to update the laws with the changing social order and the advancements made in the field. The role of the commission has also been to pave the way to incorporate judicial pronouncements in the statute books so as to clarify the law for the future times to come. The present task seems to have justified the same. The commission made an in-depth study of all the sections of the Act and suggested what was needed to be updated and what to be deleted in the light of the developments since the Act of 1872 and also the recommendations made in the 69th Report. The mammoth task undertaken by the commission and Anomalies still present. The role of the Commission has been meticulous indeed but there still remain certain anomalies to be countered and calling for a further review. As for instance, relying on the authority of Phipson, the Commission observed that the result of polygraph or lie detector test should not made admissible while no reason for the same was stated. However it is to be noted here that the commission made no evaluation of any other authority to come to this conclusion for the two tests. The commission, upon a bare perusal of sections 11 and 12, to 20 and having reference to some judgments of the ape court, differed in many instances from the 69th report and proposed minor change in the same. There did not seem much effort on the part of the commission to look into the position of law as enunciated there in the sections. Much, therefore, cannot be said for the same. Section 21 was unnecessarily clarified when in fact the law was already settled. The Commission distinguished its views from those in the 69th report as far as section 28 to 30 are concerned and a quiet different approach was followed. In fact, the Commission even criticized the 69th report as having adopted as mid-way path approach in reconciling one of the sections. However the Commission barely approved the recommendations on section 33 to 35. Thus it could instead be stated that the Law commission has merely updated the 69th report in the present task. The Law commission is being strengthened so as to be able to fulfill its purposes and to play its expected part in carrying out the Government’s agenda of legal reforms. Modern and advanced work methodology is being developed for the commission. Network and links with advanced legal research institutes are also being developed. CIDA is financing this component under grant facility. The law of the land in a dynamic society requires that it be constantly reviewed by an authority, which is manned by persons possessing an adequate and thorough knowledge of law and the society in which it operates. Reflecting this, different countries at different times felt the need to establish a law reform agency; Law commissions have been set up to fulfill this need. In 1996, by the enactment of the Law Commission Act, the Law Commission in Bangladesh came about in just such a historic process. “The Law Commission sent its recommendations to the government but never received any response. We do not know why the governments did not consider the recommendation. We do not even know if anyone has actually gone through them, “said an official of the commission. The position of the commission’s chairman has remained vacant December 5, 2007, when the then chairman Justice Mustafa Kamal’s term expired. Another member of the commission retired on February 22 but nobody bothered to fill the position. According to the sources, only three or four recommendation, including the Arbitration Act, were adopted during the rule of Awami League government. But the BMP-led four-party alliance government completely disregarded the recommendations while passing 185 laws during its tenure. An official of the commission said the Law Commission has drafted some important laws, including the Right to Information Act and the Bangladesh Citizenship Act, and the present caretaker government has accepted parts of the recommendations. While talking to the Daily Star, a few legal experts recently stressed the need for making the Law Commission effective through enacting a new law. Former vice-chairman of Bangladesh Bar Council barrister M Amir-UI Islam said the government should empower the Law Commission by enacting a new law. Supreme Court Bar Association (SCBA) President barrister Shafique Ahmed said there is no logic of running such an almost ineffective institution like the Law commission. As we can see, Bangladesh Law Commission chairman Justice MA Rashid has resigned from his office. The government accepted his resignation soon after the letter, dated on October 06.2010, was received by the secretary to the legislative and parliamentary affairs wing of the law ministry, sources said. Sources also said Justice MA Rashid did not mention any reason for his resignation. The retired High Court judge resigned from the office as per section 5 (4) of Bangladesh Law Commission Act, 1996. Law Commission is an independent body set up by law commission Act, 1996; to keep the laws of Bangladesh under review and recommend reforms when needed. It is not a sort of branch of the government for acting as legal adviser or as a drafting cell. One basic function of the commission is to conduct this research and consultation, and make proposals for updating, improving and simplifying the laws. In 2006, Law commission gave practicable and suitable recommendation to review the legal education of Bangladesh, a neglected sector. The report is not even discussed let alone implemented. In this way commission’s intellect has not been used to best extent possible. Being discouraged perhaps, the performance of the Law commission has not been vivid as we expected over the years. The commission does not give legal advice to individuals on points of law or individual cased, nor does it investigate complaints about the law or about lawyers also. Importance – the extent to which the law is unsatisfactory, and the potential benefits from reform. Suitability – whether the independent non-political commission is the most suitable body to conduct the review. Resources – valid experience of commissioner and staff, funding available, and whether the project meets the requirements of the programmed. The Law Commission can only recommend the law but cannot implement the law. It is very difficult for the Law Commission to run the function with the insufficient staff. Though this body is autonomous it is interfered by the government. The fund is insufficient to run the functions of the Law Commissions. The Chairman and other member of Law Commission get appointed from the government. Sometimes they recommend enacting laws which are pro-government and not pro-people. The Law commission takes views from judges, lawyers, Government Departments and the general public. For any program of law reform the commissioners must weigh up concerns about limited resources with competing claims for attention. A vibrant, seen and heard Law Commission speaks for a sound legal system. A focused intuitional orientation of the commission is required. For without such orientation it is apprehended that the commission may culminate into a snail- motioned set up. It is true that success of a Law commission depends upon bi-partite action and response on the part of the government and the commission. A democratic government should actively response to the law proposals and opinions of the commission which comes through intense interaction, debate and exhaustive research. Law which is reflective of public opinion can hardly be overlooked. Commission’s sagacity and intellect is also pivotal for immunizing a convincing law. The commission would come into the right track and forward marvelous proposals of legal reforms. Following are some points which should be considered surrounding the Law commission affairs. There are various rules, order, regulation and Act has present of the Law commission & to regarding of works of law commission in Bangladesh is also very newly enacted. So the determination is that Indian sub-continent is not only the present India and it was includes some many states like Pakistan, Nepal, SriLanka. & we also discussed about United Kingdom, Australia & International Law Commission. All over we see the one theme that is it’s an independent body set up by a government to conduct law reform; that is, to consider the state of laws in a jurisdiction and make recommendations or proposals for legal changes or restructuring. The Law Commission should have the power to implement the law. The Law Commission should increase the staff. The Law Commission should be free from the interference of the government. The fund of the Law Commission should be increased. Every member of the Law Commission should be neutral and qualified. The Law Commission should recommend enacting of the pro-people. In the Law Commission should have moritoring system.